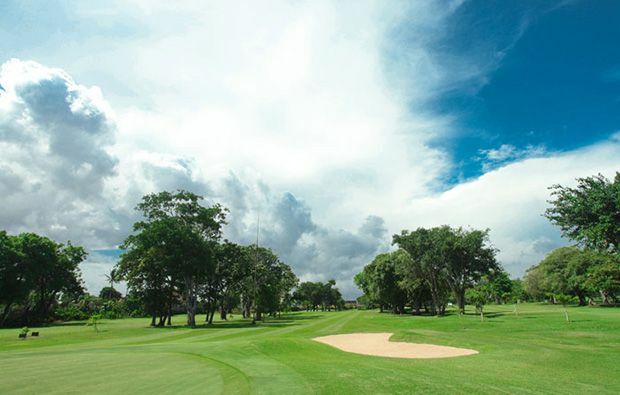 Given it has been open since 1974, there are none of the newly planted saplings that blight newer courses – instead, tall, mature trees that frame the course and trouble the errant golfer are the order of the day. 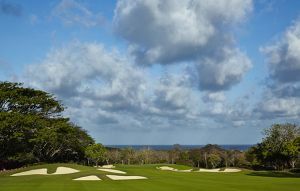 While a little lacking in variety – there are seven par 4s – there is enough to keep you on your toes, with well-bunkered greens and swirling winds. 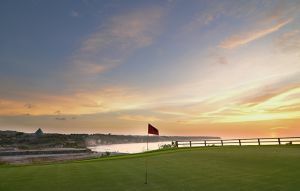 The lakes aren’t often in play, the notable exception being on the picturesque par-3 2nd where you must shoot into a headwind and carry 165 yards over water to an elevated green. 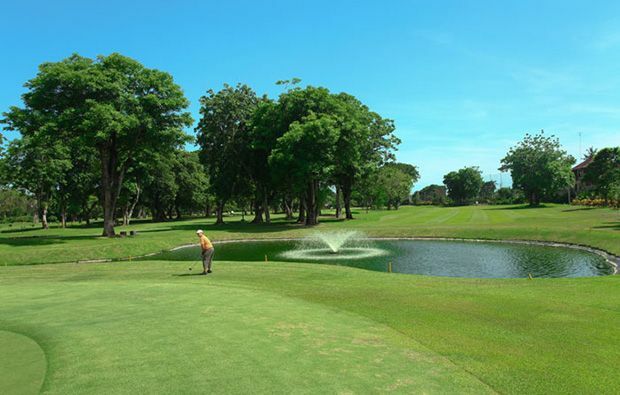 The only other water hazard of note features on the longest of the par-4s, the 6th, where your approach must clear the lake that guards the green, avoid the bunker to the left and try to hold on a green that runs away to the right. Come away with a par and you can feel rightly proud of yourself. 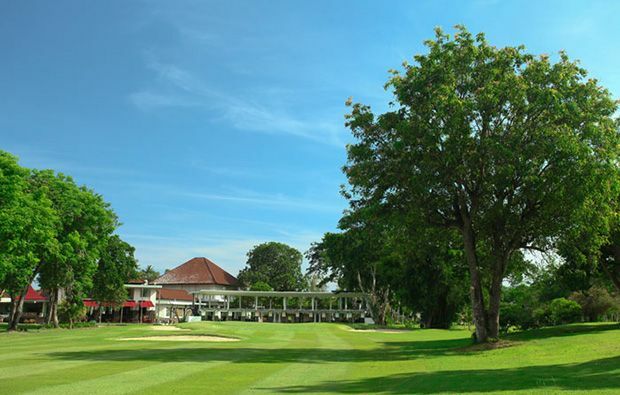 While it’s not one for the purists, and if you go in with realistic expectations you’ll find it to be an enjoyable enough 9 holes, and the trees provide welcome shade from the baking Balinese sun. The clubhouse features pro shop, up-market locker rooms and a decent restaurant serving Western and Asian cuisine. 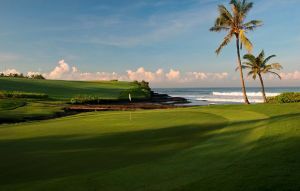 Why not let us take care of everything and use our simple booking process to secure a tee time at Bali Beach Golf Club. 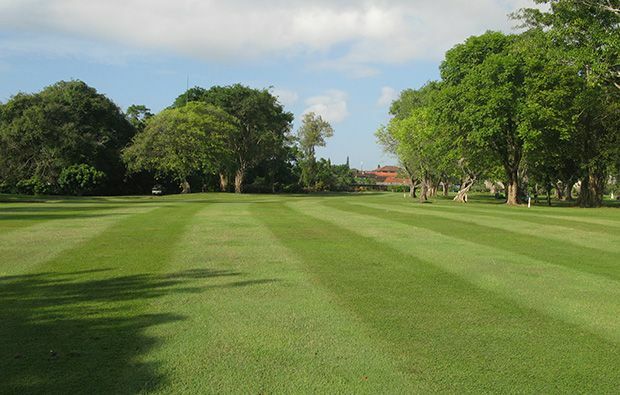 We offer the best value green fees at Bali Beach Golf Club. 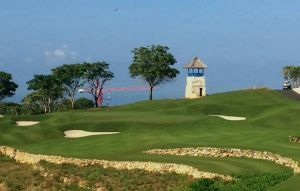 Bali Beach Golf Club has different Services to offer. Choose a date and number or players to see the rates.